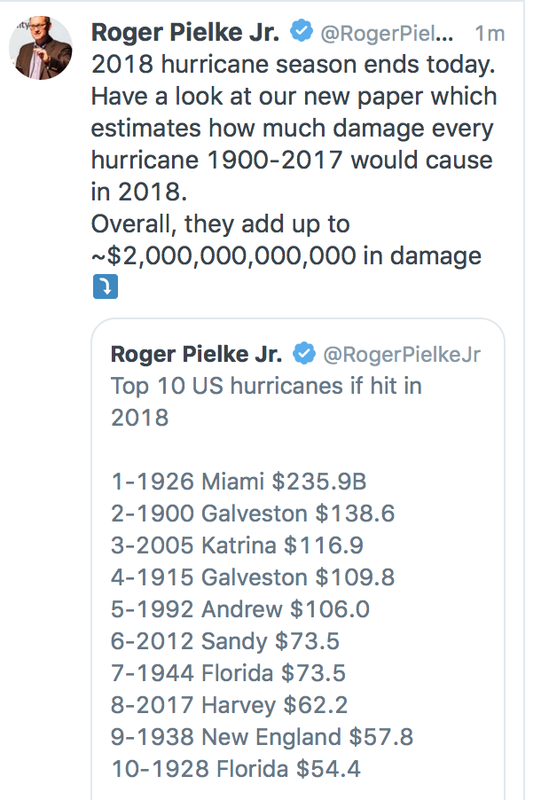 ...how much damage would they have caused? 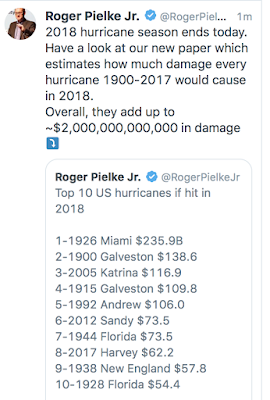 Dr. Roger Pielke, Jr., has the answer. From Twitter, below. The U.S. hurricane season ended yesterday.